Ultra-fast deployment PVE pile driver rig (under 12 minutes) for use in foundation work, king post wall construction, etc. 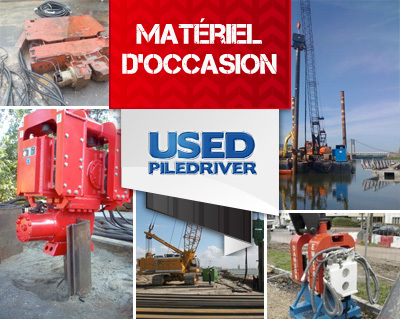 PVE offers a range of specialist drilling and pile driver rigs. The pile driver masts are of lightweight construction and are capable of supporting moderate torque levels of up to 150 kNm max. Some of the drilling rigs are capable of supporting torque levels of up to 500 kNm and are designed for large diameter CFAs and inclined drilling.